Enhance you guitar even further with our Tone-Lock™ KIT. 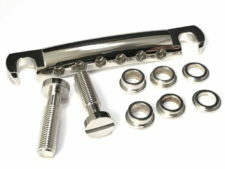 The KIT includes our basic Tone-Lock™ studs and spacers and a Faber® TP-59 super lightweight aluminum tailpiece. As an added bonus, the price of the KIT is less than buying both items separately!